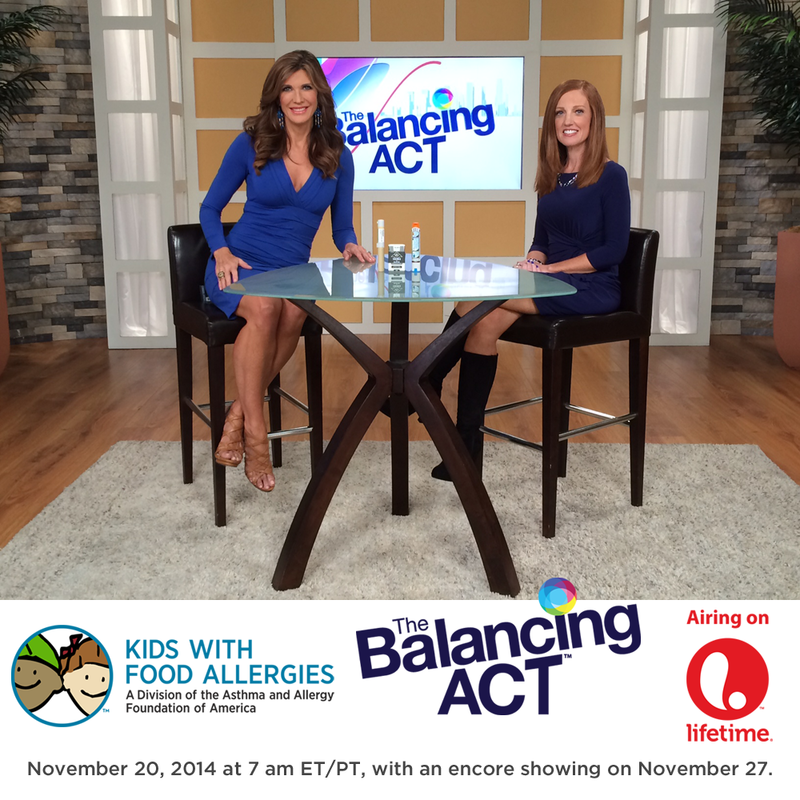 As part of its programming dedicated to help raise awareness and offer resources for kids with food allergies, The Balancing Act® will feature the non-profit organization Kids With Food Allergies in the show airing on Thursday, November 20 at 7:00 a.m. (ET/PT) on Lifetime®. Tune in as The Balancing Act hosts and their guests discuss this important topic with trusted information to empower a family’s life. This show will re-air on November 27, 2014 at 7:00 a.m. (ET/PT). It’s the holiday season and that can be a stressful and tricky time for the six million kids with food allergies and their families. Educating loved ones and friends about your child’s food allergies before holiday events can help keep them safe and happy. Holiday time can be especially isolating if you don’t have a family action plan in place. Celebrating its 10 year anniversary, Kids With Food Allergies, a division of the Asthma and Allergy Foundation of America, is dedicated to supporting families with every aspect of managing a child’s food allergy. Watch as KFA’s Michele Cassalia – herself a mom of a child with food allergies – explains how to successfully navigate the season and create new holiday recipes and traditions. “One in 13 children in America now has a food allergy. Allergic reactions to food can be serious and potentially life-threatening. It is essential for parents and caregivers to learn how to prevent allergic reactions, recognize the symptoms, and be prepared to act quickly should a reaction occur. We are thrilled to be partnering with the Balancing Act to share the latest information on food allergies and how you can keep children safe and healthy,” said Lynda Mitchell, Vice President Asthma and Allergy Foundation of America, Kids With Food Allergies Division.